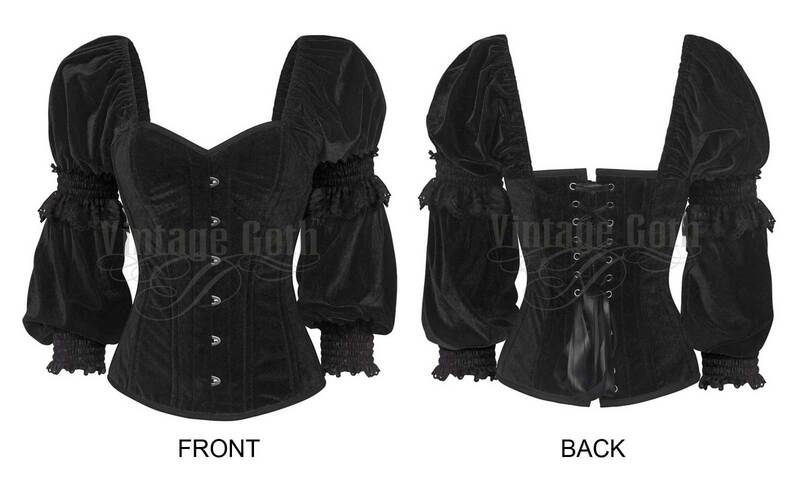 Noble women's corset with attached sleeves by Vintage Goth. Full bust corset, made of fine, deep black velvet. Metal busk front; classic corset lace-up back. Noble women's corset with attached sleeves by Vintage Goth. Full bust corset, made of fine, deep black velvet. 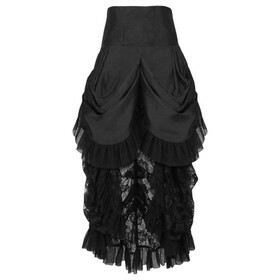 Metal busk front; classic 24-hole-corset-lacing back. Fast waistband and 10 embedded spiral bones and 2 flat steel bones. Attached puffy velvet sleeves with elastics and lace at the arms and the cuffs. 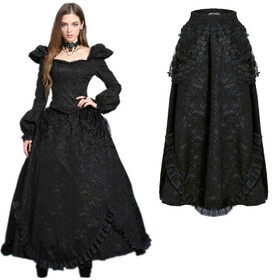 Fits perfect to wide gothic skirts or medieval outfits.